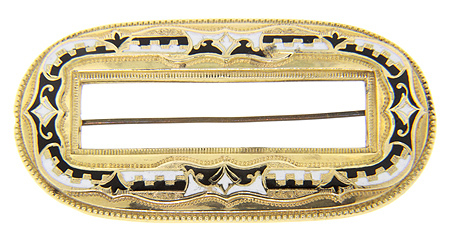 This antique Georgian black and white enamel sash pin is oval in shape and is made of 14K yellow gold. It can also be worn as a brooch on a jacket or blouse. The pin measures approximately 2 1/2" in length and 1 1/4" in height. Circa: 1830.